Nivea Daily Essentials Regenerating Night Cream. Provides deep moisture and regenerates. I wondered if there product had changed? thanks to its caring formula with Provitamin B5. and fresh skin feeling in the morning. * See and feel smooth fresh skin. regenerated, looking healthy and beautiful. 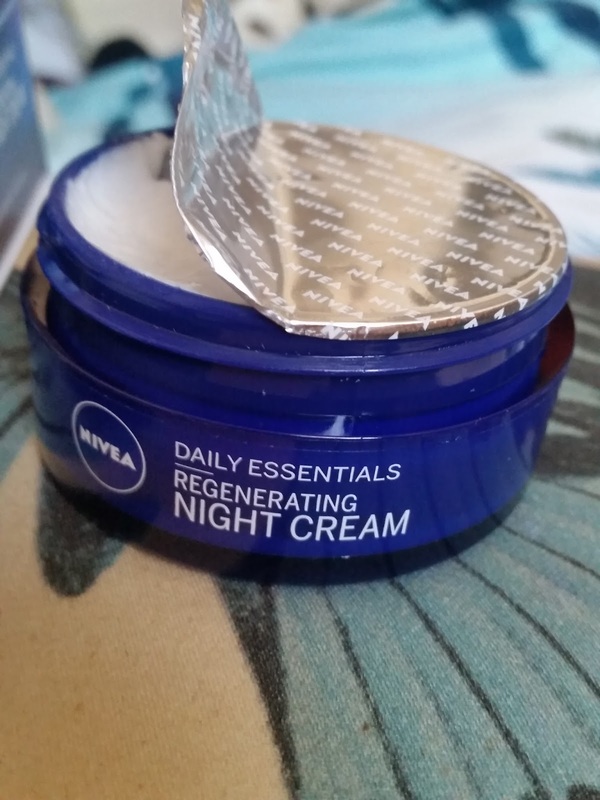 the Nivea product in a royal blue tub. 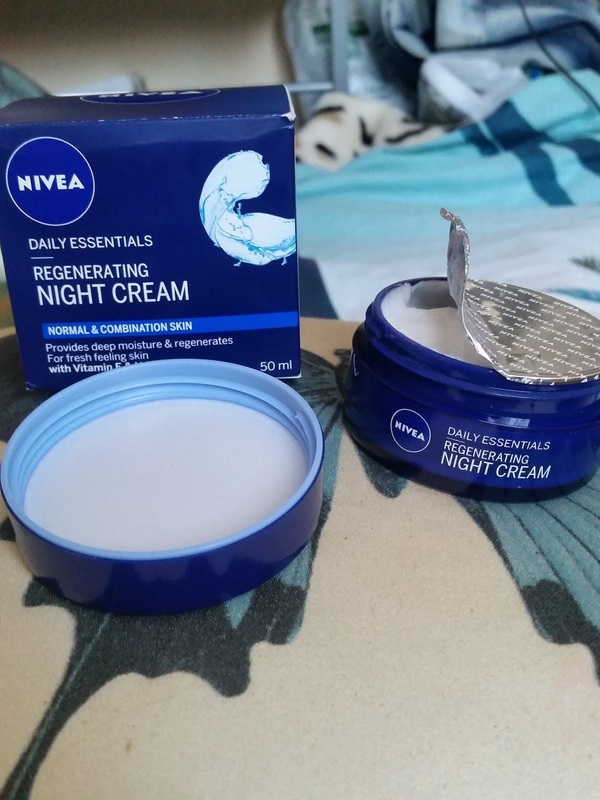 It was there before when Nivea came out, so the foil film is staying! It does have some good features about it by stopping any product spillage and you wont find half your product stuck to the lid. i was quite surprised on how thick this cream is. using just the right amount your skin will need. The application suggests to gently massage into skin with circular motions. you use too much product it will just sit on the skin and not absorb. One method i do suggest and works quite well. Apply product all over face, using a lot of product wont matter. minutes and then hot cloth any excess off. Also it made my skin look glowing and looked like i had a good nights sleep! experience they have broke me out. my skin type to handle back then. just the right amount of product to use. Its hard to know how much to use when you dive in the tub with your fingers and end up using way too much! This hasn't broken my skin out so far. is a really good skin treatment. I can see this being used if your skin is in desperate need for moisture. Especially in the winter with the harsh coldness or the sunny weather has left your skin parched. This really is a power dose of moisture in a tub and a pleasant skin pick me up! I was really surprised on how well this product worked and transformed skin. Nivea is also reasonably priced which is a bonus, especially if you are on a budget. 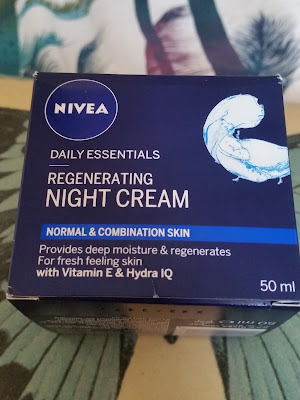 Whats your experience with Nivea products ?